Fr. 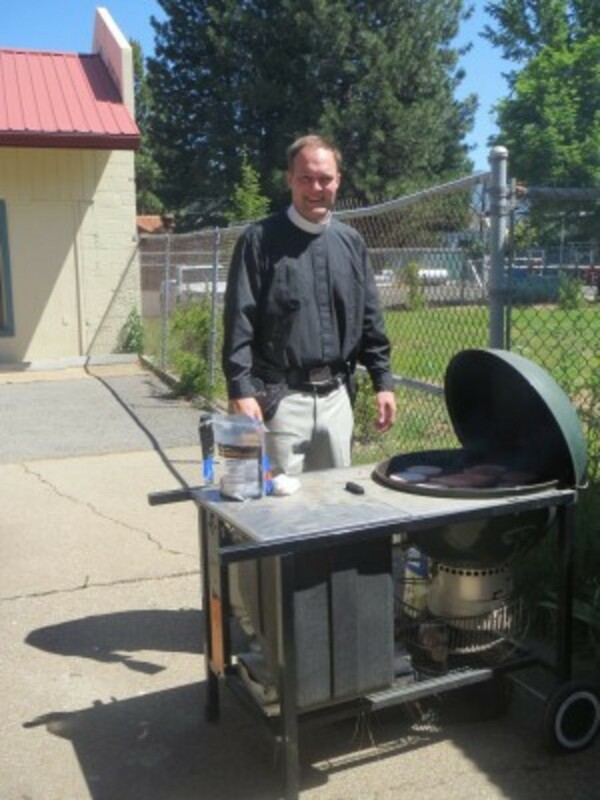 Matt has served as Vicar of Christ the King since his Ordination to the Priesthood in May, 2013. Professionally, Fr. Matt is interested in the Gospels and the communities which created them. Fr. Matt is actively involved in the larger diocese. He currently serves as the Secretary to Convention, where his wry sense of humor is deployed regularly. He is also the Chair of the Academic Committee, which helps the Commission on Ministry evaluate those in process for Holy Orders. He also serves as a consultant for Disaster Preparedness for the Sierra Deanery. Fr. Matt serves as a Chaplain at Camp Galilee, an Episcopal Camp in the Diocese of Nevada along the Eastern shores of Lake Tahoe. Outside of Church, Fr. Matt is an avid golfer and waterskiier. He also serves as an Adjunct Professor of Philosophy at Feather River College where he teaches "Introduction to Ethics"
He lives in Quincy with his wife, Kristy, and their two children, Abby and John.